Recent research has provided yet more evidence that teen drinking in Australia is in steep decline. We first summarised this trend in 2015, and subsequent surveys have shown that the decline has continued. In the Deakin study, the proportion of adolescents (average age 14) reporting past-month alcohol use fell from 45% in 1999 to 25% in 2015. Similarly, the recently released data from the 2016 National Drug Strategy Household Survey (NDSHS) show teenage drinking at striking lows, with four-fifths of 12-17 year olds now abstaining from alcohol. These shifts have occurred alongside similarly steep declines in illicit drug use and smoking, representing a major public health success story. These Australian trends are consistent with broader international patterns, with similar declines reported in many other high income countries. Increasingly, there is evidence that these declines are being maintained as young people age into adulthood. Monthly risky drinking among young adults (aged 18-24) declined from 57% in 2001 to 42% in 2016. 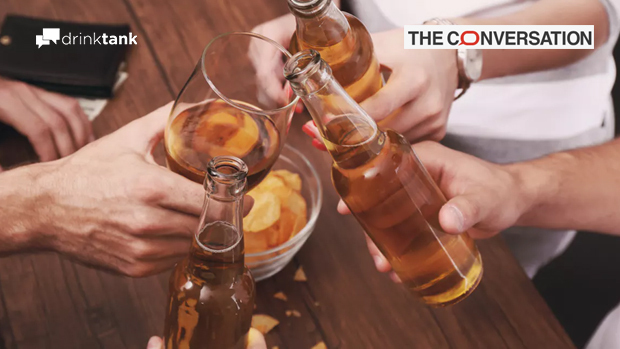 These declines are not as steep as for teenagers and haven’t received the same sort of media and research attention, but it appears young adults are also less likely to drink at all and, if they do, they tend to drink less riskily than previous generations. Surprisingly, there is no evidence of a decline for older Australians, with drinking rates stable or slightly increasing for those over 30. For the first time in 2016, women in their 50s were more likely to drink at long-term risky levels than younger women. In our analysis of the NDSHS data, we identified steady increases in very heavy episodic drinking (20+ drinks in a session) for people aged between 30 and 59. Similarly, the median age of Victorians requiring ambulance attendances for issues related to alcohol is now 40. These are only small increases, but they are in stark contrast to the sharp declines observed for young people. So what’s going on? Partly, this simply reflects the ageing of a heavier-drinking cohort of people (those born in the 1960s and 1970s), maintaining their higher consumption levels as they age. But there some other factors to consider. 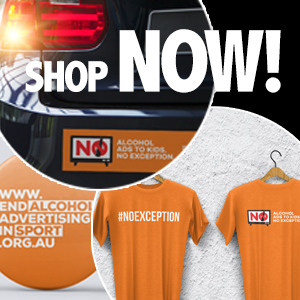 One thing that has clearly changed over the past 15 years is Australians’ attitude to alcohol. Our recent paper showed steady increases between 2001 and 2013 in the proportion of Australians that thought alcohol was the most deadly drug and the drug of “most concern” to society. Similarly, the Australians are now more cautious about what constitutes “safe” drinking levels, suggesting increasing concern about the health impacts of drinking. These attitudinal shifts have occurred across all age groups, suggesting a broad-based change in our views on alcohol, but which have only flowed through to consumption changes among younger people. It may be that changing attitudes have little impact on the well-established consumption patterns of older drinkers, but have a stronger link to behaviour among those whose drinking careers are just starting out. It may also be that more negative attitudes to alcohol only really affect how we see other people’s drinking. This might lead, for example, to more restrictive approaches among parents of adolescents when it comes to drinking. There is some evidence, from Australia and elsewhere, that parents have changed the way they manage alcohol for their children. They’re less likely to provide alcohol to their kids and more likely to set strict rules around drinking. There are likely to be a range of other issues underpinning the declines in youth drinking. Theories range from economic and social pressures through to the impact of social media. The evidence remains limited and research is ongoing to try to figure out why this generational divide in drinking has opened up. The ongoing reduction in teenage drinking is clearly good news for Australian public health, but more work to help reduce drinking among older Australians is clearly needed.